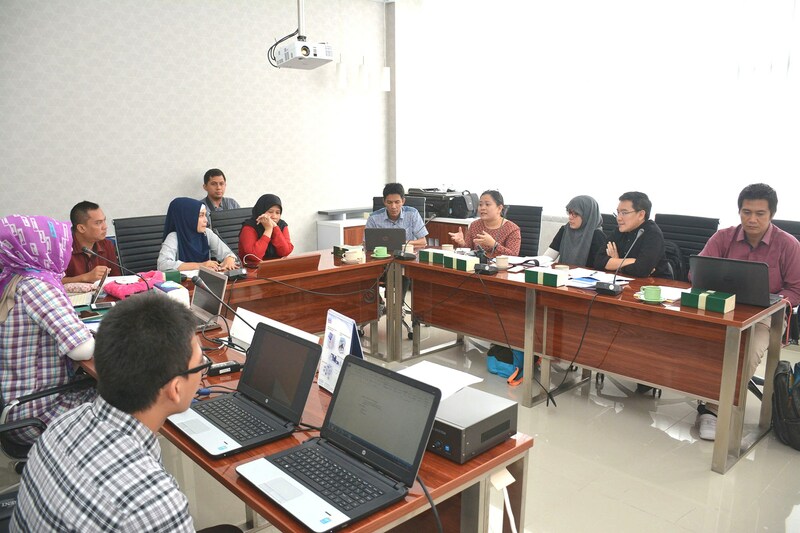 The FAO Assessment Tool for Laboratory and Antimicrobial Resistance (ATLASS) gets a kick start in Indonesia this week, reinforcing the country’s planned implementation of the national antimicrobial resistance (AMR) surveillance system. In piloting the new tool to assess national AMR surveillance in livestock, a joint team of FAO and the Chulalongkorn University, with support from the Directorate General of Livestock and Animal Health Services, Ministry of Agriculture, visited three laboratories on 6-8 March 2017 to assess their capacities and preparedness for the implementation of the national AMR surveillance in Indonesia. 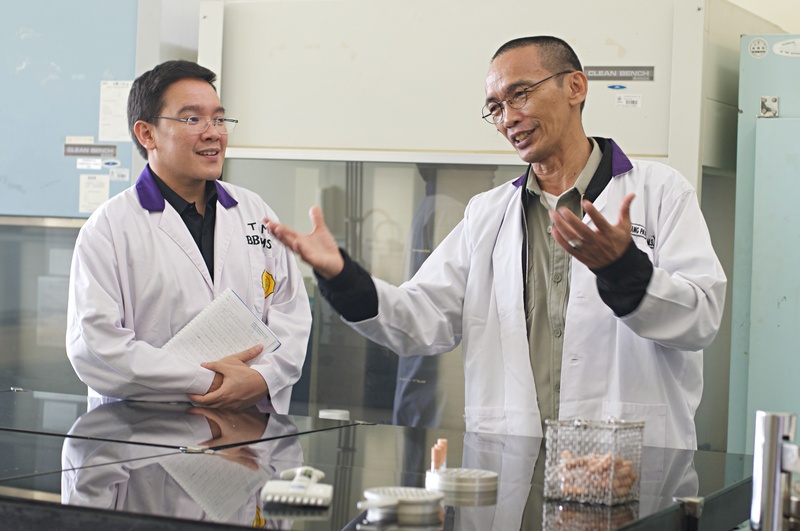 The three laboratories are the National Veterinary Product Assay Laboratory (BPMSPH), the National Veterinary Drug Assay Laboratory (BBPMSOH) and Subang Disease Investigation Centre. Mary Joy N. Gordoncillo, AMR Regional Surveillance Coordinator at FAO Regional Office for Asia and the Pacific (RAP) Emergency Centre for Transboundary Animal Diseases (ECTAD), said that the assessment mission is addressing two key areas of work on AMR surveillance in the country and in the region. “The mission is not only for piloting ATLASS, but also preparing Indonesia for AMR surveillance in animal health sector that will commence next month,” Gordoncillo said. The mission is part of FAO’s project on addressing antimicrobial usage in Asia’s livestock, aquaculture and plant production sectors, which is funded by the USAID. Under the project, FAO is collaborating with the Chulalongkorn University Faculty of Veterinary Science Antimicrobial Resistance Cluster (CU VET AMR) to help in strengthening the laboratory capacities in five countries in Southeast Asia: Indonesia, Thailand, Laos, Myanmar and Viet Nam. In addition, the Chulalongkorn University will assist in harmonizing laboratory protocols on AMR testing and conducting regional laboratory training on AMR diagnosis as needed. As one of the main components in the “Global Action Plan on AMR” and “FAO Action Plan on AMR, surveillance is the cornerstone for assessing the burden of AMR and for providing the necessary information and evidence for decision-making and action. In this regard, ATLASS will foster standardised AMR surveillance system globally, enabling comparable and validated data on AMR to be collected and analysed. ATLASS is structured in two modules: surveillance and laboratory modules, the latter of which comprises an activity form and a laboratory mapping tool (LMT) form. Data compiled during the assessment will be used to build a final report that will be submitted to national vet authorities. At global level, the ATLASS data will be submitted to FAO global portal for data integration, compilation and analysis. The data will also allow comparison of national capacities with regional/global capacities.